A neat and tidy hut. New hut has a water supply. Handy for a head start on a Friday night. Rebuilt in 2009, new hut almost identical in design to Roaring Stag Lodge. Fully insulated and double glazed. Great for families and first-time trampers. Enclosed woodburner. 3 sleeping rooms. 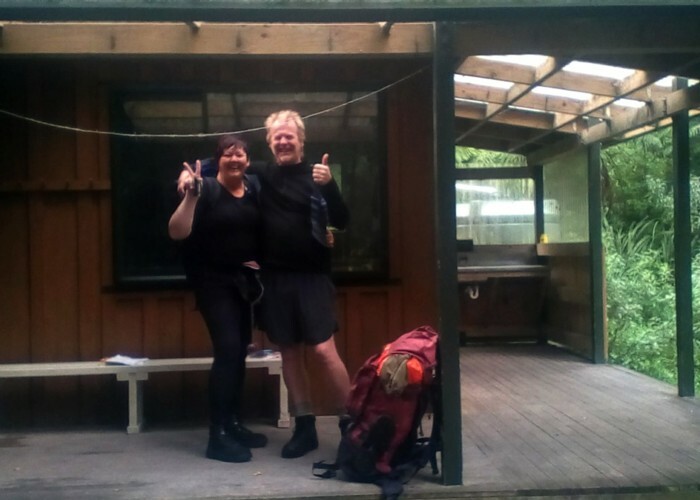 Janet & Daz Atiwhakatu Hut Mar 2018 • By monkeysh1ne. Licence: cc by. 3 easy hours from the Mt. Holdsworth road end, 3 hours (down!) from Jumbo Hut. Added 8 December 2005 by ianfiskianfisk. 5 revisions, most recently 10 November 2014 by ScottieScottie. 290 views in the past year (24 per month).